When your business is looking to expand or make a large investment, a long-term business loan is the way to go. The benefits of long-term loans include more time to repay and lower monthly payments than you’ll find with short-term business loans. The challenge: It may be harder to qualify because you’ll likely need an established business and strong finances. As with any business loan, you should compare the costs and terms of each loan carefully. SmartBiz provides U.S. Small Business Administration loans of up to $350,000 with a 10-year repayment term, which can make it easier to manage monthly payments. For example, a $100,000 loan with an 10% annual percentage rate would require monthly payments of $1,424 over 10 years, while the same loan with a five-year term would require monthly payments of $2,260. Figure out your loan’s monthly payment and costs by using NerdWallet’s business loan calculator. Best for: Financing an expansion, renovating real estate or refinancing debt. Pros: Low APR, no prepayment penalties. Cons: Your business needs to be established and have strong finances to qualify, and you’ll need to meet the SBA’s rigorous requirements. It could take several weeks to complete the qualification process and get funding. How to qualify: You’ll need to have been in business at least two years and earn at least $50,000 in annual revenue. You’ll also need a minimum personal credit score of 600 for loans of $30,000 to $150,000 and at least 650 for loans over $150,000. Here’s a list of SBA ineligible businesses. If you don’t qualify for an SBA loan through SmartBiz or you want funding faster, Lending Club, Funding Circle and Able Lending are solid choices. However, since these lenders carry higher APRs and have repayment terms of up to five years, your monthly payments will be higher than with SmartBiz. Lending Club provides term loans of up to $300,000, repaid monthly over one to five years. Although the APR on a loan starts at 9.8%, it can reach 35.7%, depending on your credit score, annual revenue and the overall strength of your business. Best for: Expansion or working capital. Pros: Less stringent requirements than SmartBiz, no prepayment penalties, fast funding. Cons: High rates if you have bad credit or weak revenue. How to qualify: Although Lending Club’s requirements are less rigorous than those at SmartBiz, you’ll still need a personal credit score of at least 600, one year of business history and at least $50,000 in annual revenue to qualify. Before you apply for a Funding Circle loan, find out whether you meet the lender's minimum qualifications. No minimum annual revenue required. No bankruptcy in the last seven years. Funding Circle provides loans of up to $500,000. As with Lending Club, you repay monthly over one to five years. The APR on Funding Circle’s loans can range from 7.4% to 36%, which is nearly identical to Lending Club’s. Best for: Expansion, refinancing debt. Pros: High borrowing amounts, no prepayment penalties. Cons: Need strong credit to qualify; slower time to funding than peers. 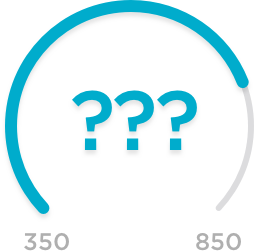 How to qualify: You’ll need a minimum credit score of 620, which is 20 points higher than Lending Club’s minimum. You’ll also need a minimum of two years in business, but Funding Circle doesn’t require a minimum annual revenue. Also, you can’t have had a personal bankruptcy within the past seven years. Before you apply for a SmartBiz loan, find out whether you meet the minimum qualifications. Lending Club is currently unavailable to borrowers in Iowa and Idaho. Before you apply for a Funding Circle loan, find out whether you meet the minimum qualifications. Want to compare more small-business loans? NerdWallet has created a comparison tool of the best small-business loans to meet your needs and goals. We gauged lender trustworthiness, market scope and user experience, among other factors, and arranged them by categories that include your revenue and how long you’ve been in business.